Instagram is both the best friend and worst enemy of fashion marketers. Boasting an army of 800 million users, it's a social network that online retailers (particularly those in fashion) would be ill-advised to ignore. Add to this the fact that beautiful imagery is, in many ways, the lifeblood of successful ecommerce and it's like fashion retailers and Instagram were destined to be besties. Picture this: you're browsing your Instagram feed and up pops a post from a clothes store you follow showcasing a pair of shoes that you kinda like the look of. You want to find out more, right? But because of Instagram's no link policy, your only option is to go to that brand's website, trawl through the 'shoes' section until you find the shoes in question and then decide whether you want to buy them or not. Which all seems like a lot of effort, especially since you're not 100% sold on them, so you give it a miss. Instagram sure is difficult to sell from. In spite of taking its first steps towards rolling out an ad platform, it's still looking unlikely that a click-through mechanism will appear any time soon. And while top-of-the-funnel activities like creating brand awareness may be useful for huge super-brands, for smaller retailers who want to focus on the ROI of their social campaigns, putting time and effort into Instagram can seem like a risky business. As a result, many fall into the trap of using Instagram to simply replicate activity on other networks like Pinterest and Twitter rather than coming up with a specific plan of action. Below are four really effective Instagram strategies that fashion brands - big and small alike - are using to elevate their Instagram efforts. As mentioned above, the fact that Instagram is 'unshoppable' for the forseeable future presents brands with a challenge from a selling perspective. Some are doing their best to get around this, using various tactics to reduce the friction between seeing an item on Instagram and heading over to an online store to buy it. Here are some good examples. 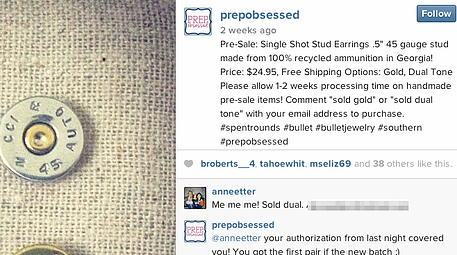 Preppy accessory boutique Prep Obsessed uses an application called Soldsie to sell through the comments section on its Instagram posts. Fans can simply comment 'Sold', along with a size/variation and their email address to be sent an invoice for the product. 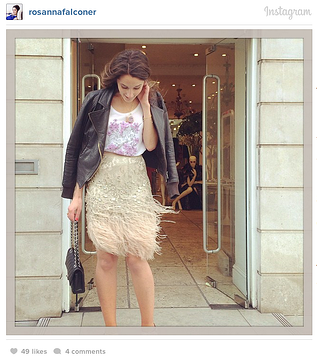 Both Zara and Topshop include product reference numbers in any posts that feature products available on the site. Although Instagram doesn't make links 'live', some fashion retailers like Nasty Gal include shortened links in their post descriptions that can be easily copied and pasted into the navigation bar. Similar to Prep Obsessed, Nordstrom uses a service called 'Like2Buy' to help followers buy products they see on their favourite brands' Instagram feeds. By clicking on the link in Nordstrom's Instagram description (the only place Instagram permits a link), visitors are directed to an external site that links Instagram posts straight to product pages. 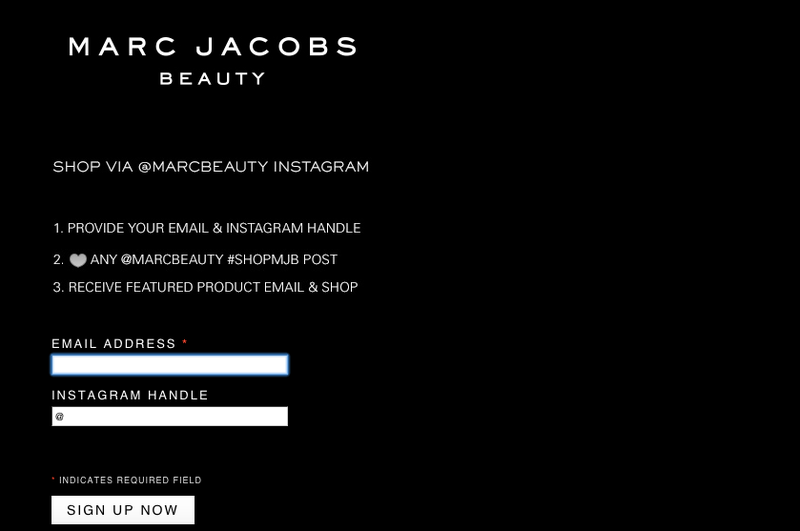 Marc Jacobs employs the trusty steed of email to make Instagram shoppable - by linking its shared iimages to product emails. With social proof an ever more important element of persuasive web design, fashion brands are increasingly turning to socially-sourced images of fans posting about products (for more about this, check out Candid.io or Olapic): now everyone can be a model. Black Milk includes images sourced from Instagram on each of its product pages - a nice way of demonstrating how fans are choosing to style the product. Desigual dedicates a whole section of its website to 'inspiring people', encouraging fans to 'share their style'. 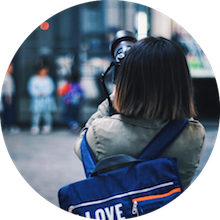 Instagram - with its focus on beautiful, carefully-crafted imagery - requires a less functional approach to product imagery. It sells itself on letting users create a 'personal brand'; to give their followers a glimpse into their life. With selling difficult on Instagram, some fashion retailers are using their profiles not to directly promote products, but to provide an exciting behind-the-scenes perspective of life at the brand. When he's not busy creating iconic menswear or polishing his CBE, Sir Paul regularly updates his Instagram account with pictures from his fabulously jet-set life, using the hashtag #takenbyPaul. 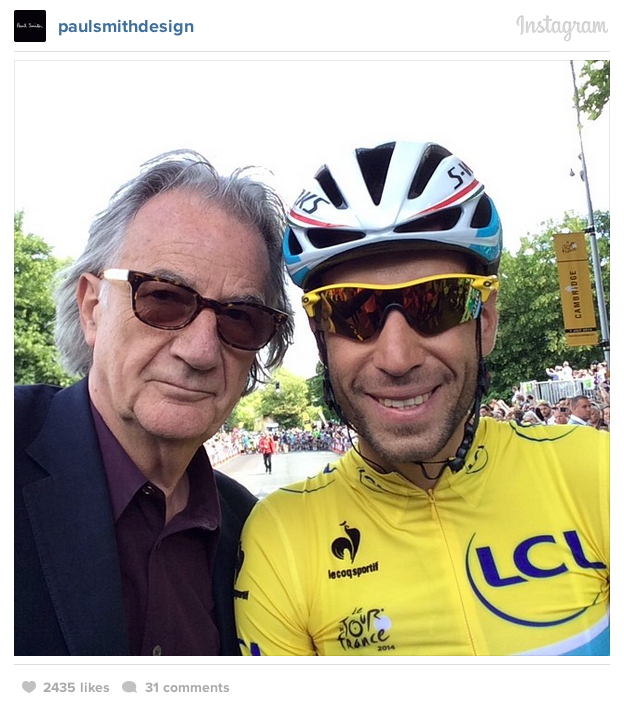 Here's a picture of him watching the Tour-de-France. 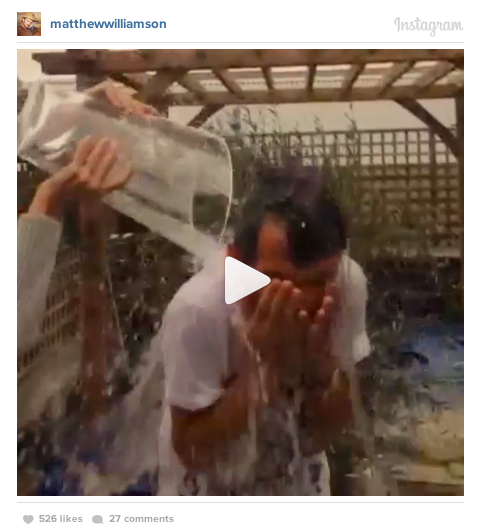 Much like Paul Smith, designer Matthew Williamson uses his Instagram to give his followers a peek into his private life, as well as posting new ranges, behind the scenes photoshoot snaps and, amongst other things, videos of himself being doused in water by Sienna Miller for the ice bucket challenge. This Instagram strategy was pioneered by Matthew's head of digital, Rosanna Falconer, and both can frequently be found replying to fans and customer service questions. Lastly, I wanted to write about this incredibly effective strategy from highstreet fashion overlords ASOS. Visitors to the site can check out ASOS's 'personal stylist' team, made up of already incredibly successful fashion and beauty bloggers. 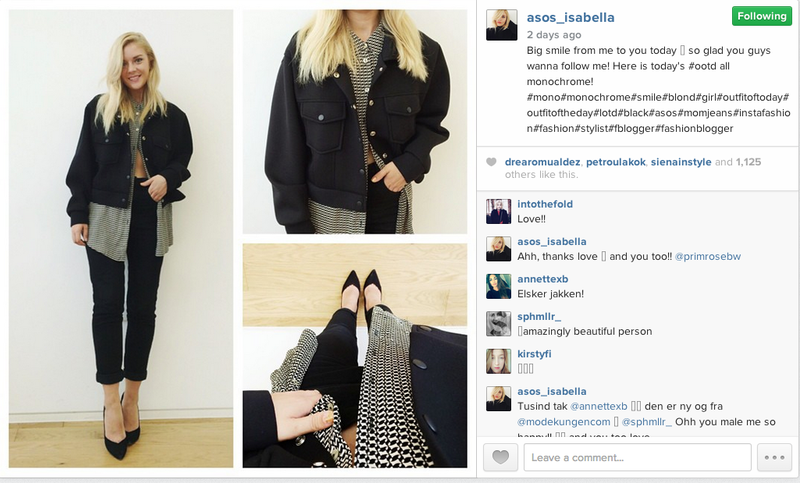 Onsite, they can chat with these personal stylists at dedicated times in the day, and on Instagram, each of the stylists posts from the handle 'asos_[their name]', for example, asos_isabella below. The beauty of this strategy is that ASOS has managed to tap into cool credentials of these popular bloggers; getting the brand in front thousands and thousands of potential customers.